We’re stoked to announce that our WordPress.com user account auto-login feature is back up and running. We had disabled it briefly while we made some backend changes to the way this feature works, and it’s more solid than ever. This means that if you’re a WordPress.com user and you’re logged into your account, you’ll automatically be logged into IntenseDebate as well. All you have to do is type your comment and hit submit. 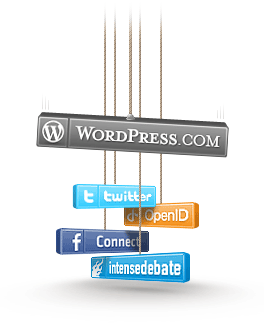 We are extremely excited to introduce WordPress.com user accounts and auto-login to IntenseDebate and open up the debate to more than 12 million commenters and bloggers. Now WordPress.com users can comment on IntenseDebate-enabled websites anywhere on the Web without having to re-enter their account information. While we’ve added Facebook Connect and Twitter Sign-In support, there are still too many steps and mouse clicks between you and posting a comment. We’re all about making commenting easier and more accessible to as many people as possible, and we think you’ll agree that this is a huge leap forward. Commenting with IntenseDebate is now easier, faster, and simpler. WordPress.com users post nearly 400,000 new comments every day, and now they are all automatically logged in to comment on your blog. And that’s not to mention the addition of over 20,000 new users every day! If you’re a WordPress.com user and you’re logged into your account, then you’ll automatically be logged into IntenseDebate as well. All you have to do is type your comment and hit submit. You can login with your WordPress.com account directly from the comment section and at IntenseDebate.com. If you already have an IntenseDebate account then you can just keep on commenting as normal. This means that unlike Facebook Connect and Twitter Sign-In, there are no extra clicks, and no need to remember another set of login credentials. It also means that more than 12 million WordPress.com users will be able to comment on your blog with full-fledged IntenseDebate profiles, without having to create an account or enter any details. How’s that for motivating the conversation? Better yet, since these profiles aren’t third-party accounts, you (and all your new users) will have access to all of the awesome features that IntenseDebate is famous for: email notifications, reply-by-email, reputation scores, comment voting, comment history, Twitter integration, and more. If you already have both IntenseDebate and WordPress.com accounts, don’t worry – we will be merging your accounts in the next phase of our integration, so keep commenting! Commenting on your site just got a whole lot easier for millions of existing bloggers and commenters.